Bryte Labs is a direct-to-consumer sleep technology company on a mission to harness technology to reunite humanity with sleep. The BRYTE bed is the only bed that helps you fall asleep quickly, keeps you asleep, wakes you with energy, and learns and improves — night after night. 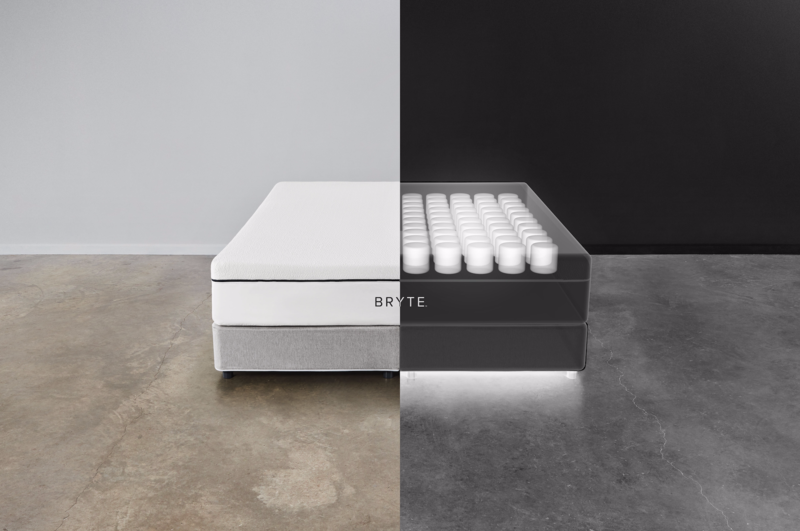 Bryte Labs launches today with a mission to transform the $49 billion sleep industry with the BRYTE™ Bed — a bed with artificial intelligence that serves as your personal sleep concierge. Professor Matthew Walker is BRYTE’s lead sleep science advisor and author of The New York Times bestseller, “Why We Sleep” . He is professor of neuroscience and psychology at the University of California, Berkeley, and the founder and director of the Center for Human Sleep Science. His research examines the impact of sleep on human brain function in healthy and diseased populations. To date, he has published more than 100 scientific research studies. The BRYTE Bed is the result of five years of research and development that aims to make the perfect night’s sleep a reality for all of us. It is a beautifully integrated design with dual side active cooling/heating, coils, and sensors so that individuals can customize their preferences separate from their partner. 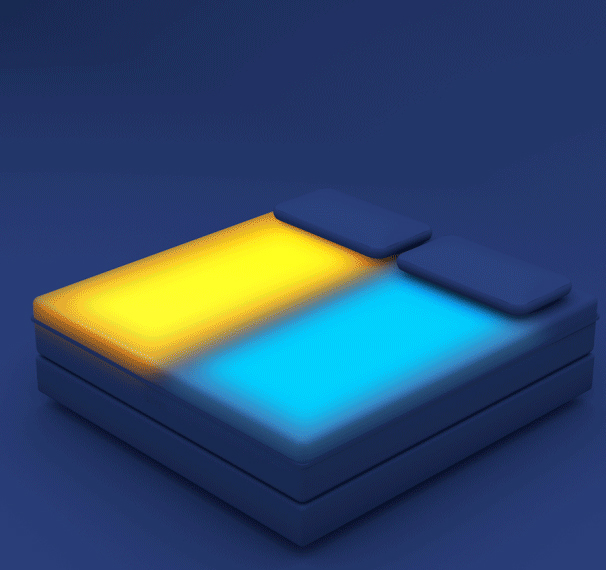 AIDEN™ is an AI-driven, cloud-based personal sleep concierge that provides a daily Sleep Concierge Service designed to prepare the bed and room environment to help people fall asleep faster. Once asleep, AIDEN takes care of the rest to keep them sleeping and then wake them with energy using temperature, high-resolution body support, temperature, and light. AIDEN even anonymously compares each person’s data with that of the larger BRYTE community in order to optimize and prepare an even better sleep the very next night. 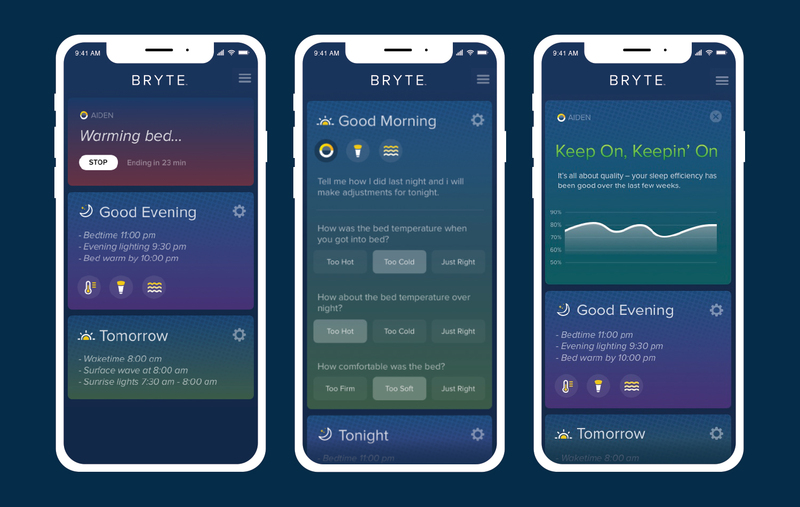 Based in Silicon Valley, Bryte Labs is a sleep technology company designing product platforms and services that harness technology to reunite humanity with sleep. To learn more, visit http://www.bryte.com and follow us at @sleepbryte.